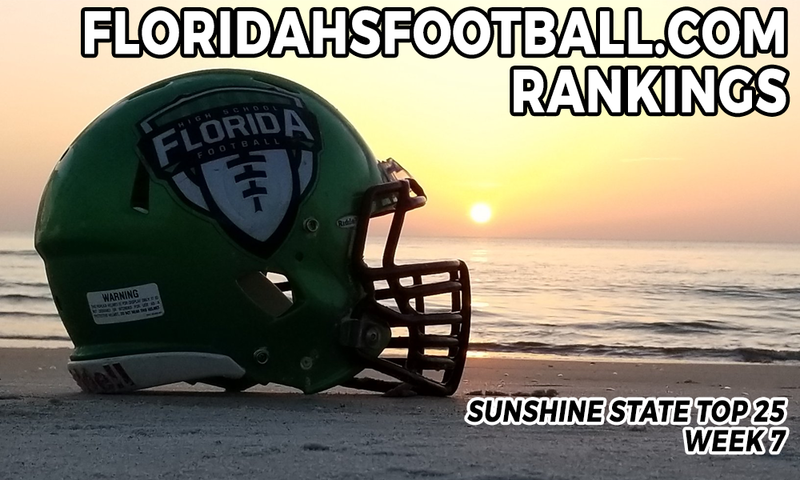 Here are the Week 7 Sunshine State Top 25 rankings from FloridaHSFootball.com. Rankings are compiled by FloridaHSFootball.com publisher Joshua Wilson each week with emphasis using the most recent results, the strength of schedule, historical expectations (preseason only), as well as potential expectation in future games. The rankings process starts off with an internal ranking of the team by their FHSAA region in each classification and then compiling of the full classification rankings themselves which are then used to compile the Sunshine State Top 25 rankings each week.